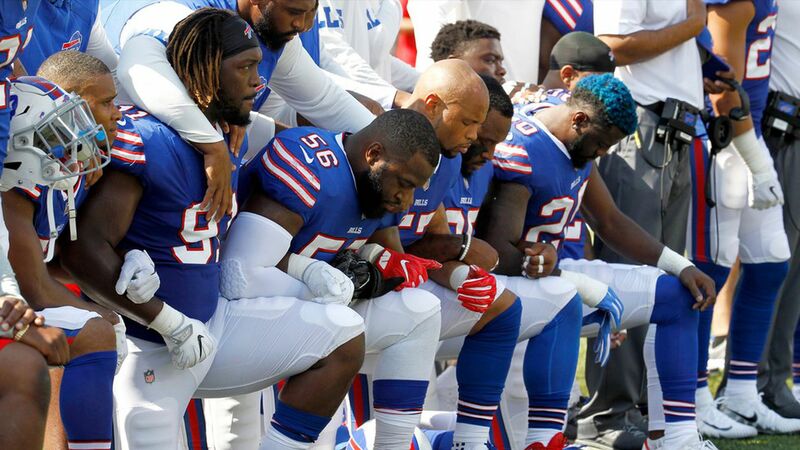 President Trump continued his Twitter crusade this morning against NFL protests during the national anthem, thanking the fans who "demand respect for our Flag" and applauding the public statements of some NASCAR owners regarding the anthem. The context: Some NASCAR team owners, including championship driver Richard Petty, came out in support of Trump's stance on the protests over the weekend, saying they would dismiss or fire drivers who protest the national anthem, according to USA Today. The protest's origin: Last year, Colin Kaepernick, then-quarterback for the San Francisco 49ers, began kneeling during the national anthem to bring attention to police brutality against black Americans. Go deeper: Our takeaways from Week 1 of Trump vs. the NFL.